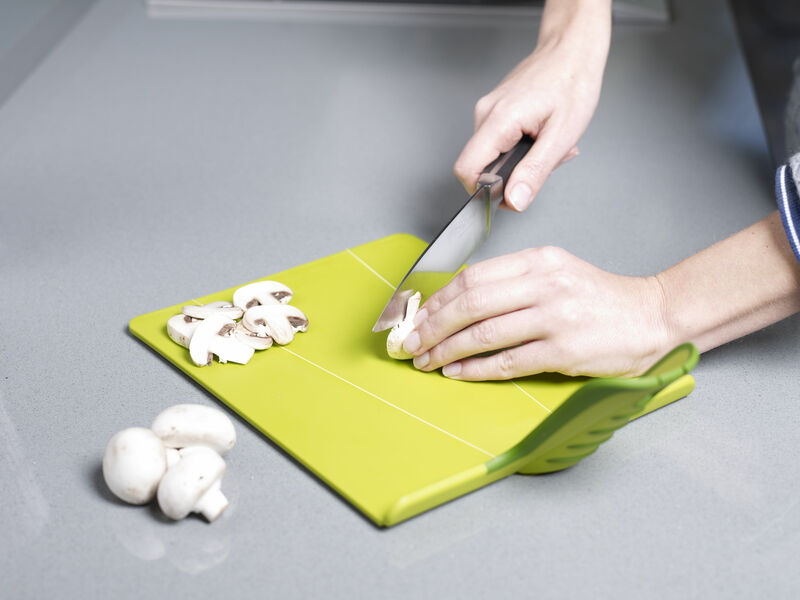 Chop2Pot™ Plus is the latest generation of our original, award-winning folding chopping board. 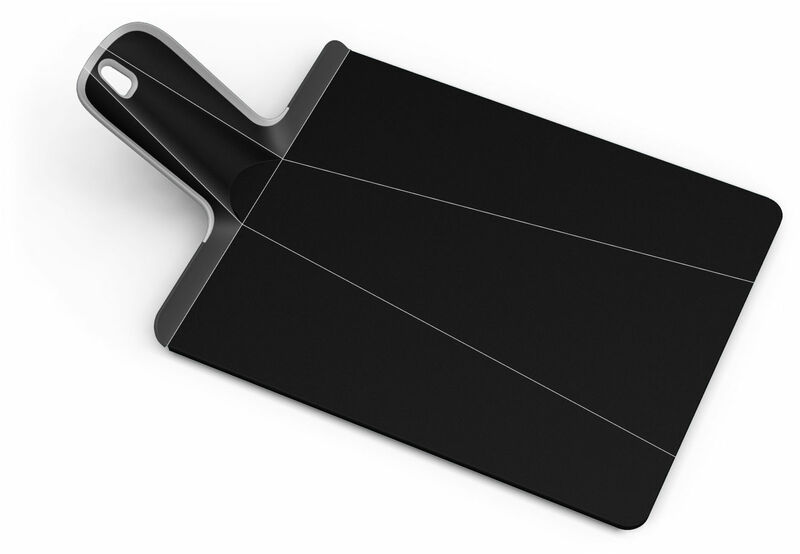 Laid flat, it provides a durable, knifefriendly cutting surface for all types of food preparation. 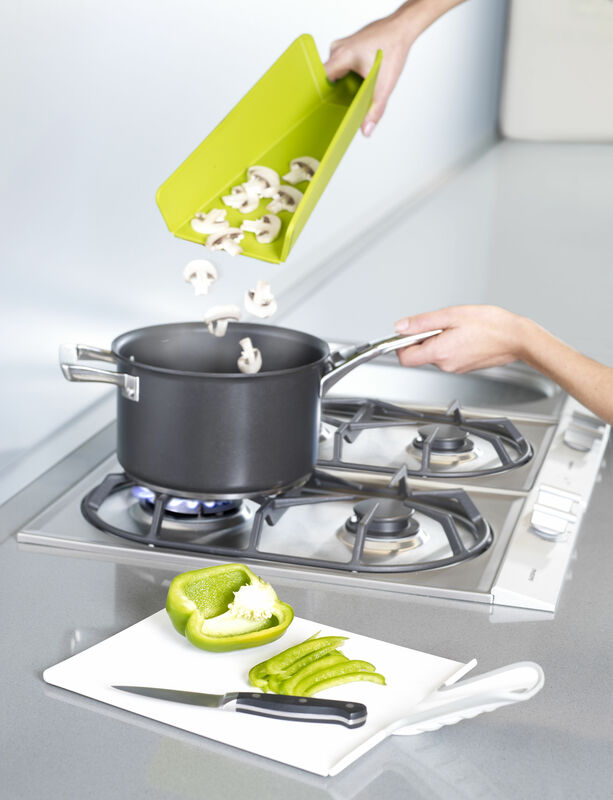 But when the handle is squeezed, the sides of the board fold up, forming a convenient chute down which chopped food or waste can be neatly guided. This latest version of the design still employs the same proven ‘living-hinge' technology to achieve its transformation, but also features a comfortable, soft-grip handle and non-slip feet. Available in two sizes. Dishwasher safe.